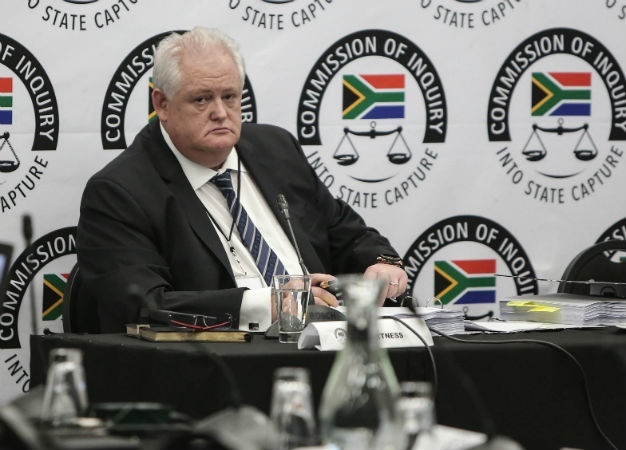 The ANC has applied to cross-examine former Bosasa chief operations officer Angelo Agrizzi at the commission of inquiry into state capture. Agrizzi - during two spells giving testimony at the commission - has levelled a string of allegations of tender-rigging and bribery against several high-ranking ANC leaders, claiming Bosasa (now known as African Global Operations) bought the politicians' influence in a bid to secure multi-million rand government deals. "The leadership of the ANC has publicly stated that it will, at an appropriate time, present itself to the commission where the ANC will make a full submission that will answer all allegations tabled against it," said ANC spokesperson Dakota Legoete in a statement released on Friday morning. "Mr Agrizzi's testimony cannot be left unchallenged. We, therefore, cannot wait for a comprehensive submission to the Commission," Legoete added. Legoete adds that his party was confident that the commission will be able to afford the ANC the opportunity to cross-examine Agrizzi on his allegations. On Thursday, Environmental Affairs Minister Nomvula Mokonyane revealed that she would apply to cross-examine Agrizzi, after he once again implicated her in his testimony, saying that she received R50 000 a month in cash from Bosasa. He revealed that Bosasa had a longstanding relationship with Mokonyane because she was a powerful figure in government. Mokonyane said that "having now formally received a notice from the commission and the aspects of the statements of Agrizzi that make allegations against me, it is my intention to exercise my rights to testify, cross-examine and call witnesses before the commission". She added the allegations are of a "serious nature, self-contradictory in many respects and are designed to cast aspersions of impropriety against me in my personal and official capacities". She will set out to prove that the allegations of her relationship with Bosasa and the Watson family are dismissed formally and under oath. "I intend to provide the commission with an honest account of my relationship with the Watson family, my role as the previous head of elections and organising for the ANC, as well as my various roles in government insofar as they may relate to the 'false' allegations of bribery of myself by Bosasa," said Mokonyane.